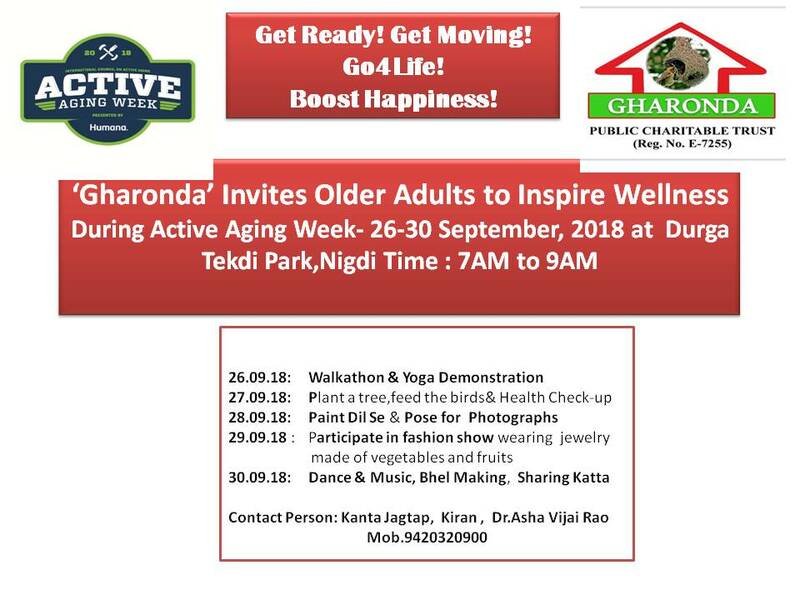 I am very happy to share that Gharonda is organizing Active Aging Week from 26-30 September 2018. My confidence to ask is due to Prof.Tom Wolf and his classes.! [alt text]( image url). I owe it my advocacy teachers too. please send your wishes that I finish it with grace.